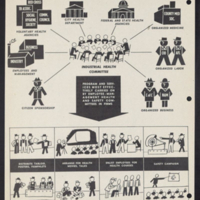 "Community Groups Cooperate to Form Industrial Health Committee"
This infographic shows the community groups involved in industrial health committees and the programs and services they provide. 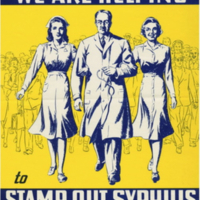 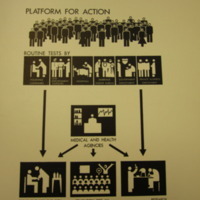 "We Are Helping to Stamp Out Syphilis"
This poster shows a physician and nurses leading a group of people, indicating they are all participating in syphilis control efforts. 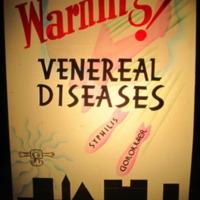 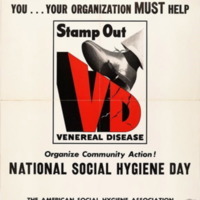 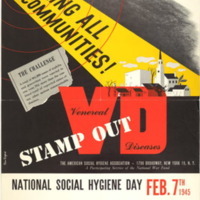 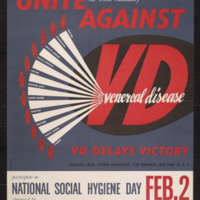 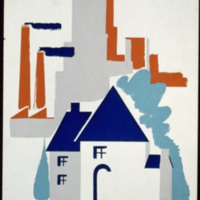 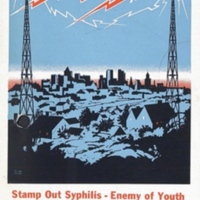 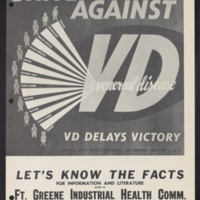 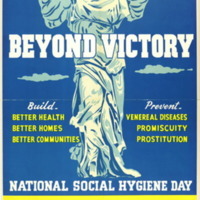 "Support Local and State Efforts to Reduce Syphilis"
This poster urges viewers to support community syphilis control efforts.